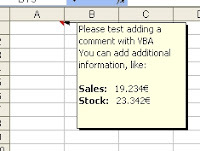 On some occasions it is necessary to have detailed information of a specific data. 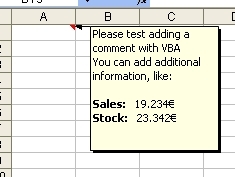 One option is insert a “comment” in a cell with the information we want, and it can be done automatically. On this “comment” we can add additional information that is not available on the report “as a first view”.